Super Bowl 50 was an American football game to determine the champion of the National Football League (NFL) for the 2015 season. The American Football Conference (AFC) champion Denver Broncos defeated the National Football Conference (NFC) champion Carolina Panthers 24–10 to earn their third Super Bowl title. The Broncos took an early lead in Super Bowl 50 and never trailed. Newton was limited by Denver’s defense, which registered seven sacks and forced him into three turnovers, including a fumble which they recovered for a touchdown. 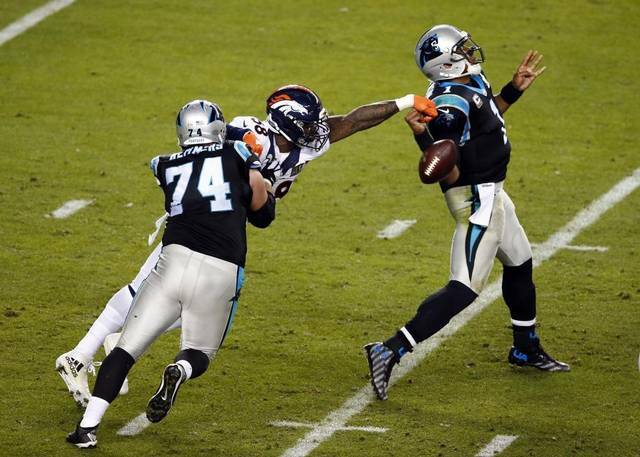 Carolina’s defense kept the game close by holding Denver’s offense without a touchdown until late in the fourth quarter; defensive end Kony Ealy became the first player in Super Bowl history to have an interception and three sacks. Denver linebacker Von Miller was named Super Bowl MVP; Miller recorded five solo tackles, 2½ sacks, and two forced fumbles in the game.